Hi, I am interested in your 2019 Venture Sonic listed on Autotrader. I'd like to get more information about this vehicle and confirm its availability. 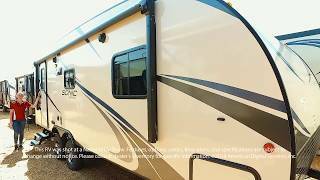 2019 SONIC 231VRK ALL NEW FLOOR PLAN JUST ARRIVED. CHECK OUT THIS GREAT LIGHT WEIGHT FIBERGLASS TRAVEL TRAILER. CALL 903-865-1600 FOR MORE INFORMATION.